While the Show will STILL GO ON, the show has been postpone until a letter date! 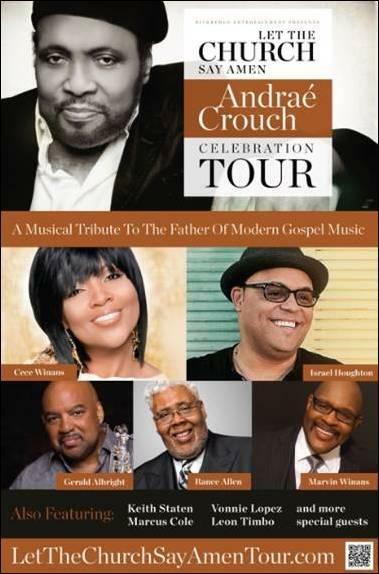 NASHVILLE, Tennessee) — Gospel music legend Andraé Crouch will be honored with the “Let the Church Say Amen” Celebration Tour in cities nationwide this holiday season. The tour will feature guest performances by some of Gospel’s top artists, including CeCe Winans, Marvin Winans, Israel Houghton, Rance Allen and jazz artist Gerald Albright. The “Let the Church Say Amen” Celebration Tour will hit multiple cities, with stops in Charlotte, Birmingham, Atlanta, Miami, Orlando, Philadelphia, Washington D.C., Richmond, Detroit, Indianapolis, Columbus, Milwaukee, Chicago, Cleveland and more to be announced. The complete schedule and on-sale dates will be announced in the coming days. Produced by Riverphlo Entertainment (Mano Hanes), the “Let The Church Say Amen” Celebration Tour will pay homage to the living legend’s career spanning over five decades. 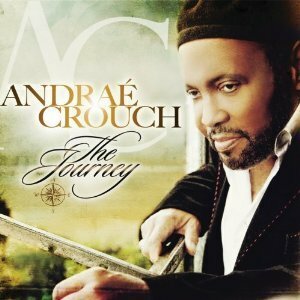 With 7 Grammy Awards, 6 GMA Dove Awards and an Academy Award nomination for “The Color Purple,” Andraé is a member of the Gospel Music Hall of Fame and has a star on the Hollywood Walk of Fame. For more information, visit www.letthechurchsayamentour.com.